Wellawatte : Moving to a new apartments at the third floor, as usual drawn water from kitchen tap and boiled before drinking. On the second day, all who shared the same water had complained severe thoracic pain. Later, came to know that the tap water is drawn from a tube well water and distributed among the unsuspicious residence without any purification. Rathupaswala : A fast growing town, surrounded by paddy fields, is located at about 25 km from Colombo. Water is drawn from open duck well for drinking. A colleague of mine, who lives in Rathupaswala, drawn water from a well at her home and tested at the laboratory, where she works, found that the pH remained in between 2 and 3 – Acidic (pH less than 7 are said to be acidic). Mahaweli Upper Catchment : Under the project “Managing Agro-chemical Multiuse Aquatic Systems (MAMAS)”, water samples were drawn from upper catchment of Mahaweli River by one my collogue for testing agrochemical pollution. The samples were given to be tested for pesticide at the institute, which constituted the expert team to examine the severity of the oil contamination with ground water at Chunnakam. The institute reported that the pesticide content is “not detectable” (negligible or nil) in all water samples. My colleague told me that, suspecting the result, he injected pesticide into the sample and handed over to the same institute for testing. Still the test report from the institute indicated that the pesticide content is at not detectable level! Padavi-Sripura : CKDu, Chronic Kidney Disease, where “u” stands for unknown or uncertain etiology, was first reported in 1994. After two decades, it is at an epidemic scale, affecting more than 50,000, further spreading into Northern, Eastern, North Western, Central, and Uva provinces. I remember, it was earlier told that cooking in an aluminum vessel could be the potential cause for the CKD, recently it is reported that the potential cause could be the drinking water contaminated with pesticides. Still no one seems to know the cause!. Chunnakam : In January 2015, it is reported that the Northern Provincial Council has appointed a team of specialists to investigate the contamination of ground water from Chunnakam Power Station. There are other reports indicated that that two separate teams from the Power and Energy Ministry and the Disaster Management Ministry would assess the ground situation and concern would be addressed within two weeks and also reported that an independent committee consisting of officials from the ministry and the Central Environmental Authority to study the oil contamination problem (Sundaytimes-25.01.2015). The most common and deadly pollutants in the drinking water are of biological origin (pathogenic bacteria, viruses and protozoa) and chemical contaminants, which include naturally occurring constituents (Arsenic, Barium, Boron, etc ), synthetic pollutants (Cadmium, Mercury, etc ), organic pollutants (Benzene, Carbon tetrachloride, etc.) Sri Lanka Standards Institute published “Tolerance limits for inland surface waters used as raw water for public water supply (SLS 722)”, which include, if not all the biological and chemical containments, at least for most of them. Is the drinking water within the tolerance limit? No one seems to know! Secure an efficient and effective monitoring, assessment and enforcement is critical to ensure safe drinking water. Ceylon Environmental Authority is mandated to undertake surveys and investigations as to the causes, nature, extent and prevention of pollution and undertake investigations and inspections to ensure compliance in inland waters. Systematic Monitoring of water quality is the first step to assure safe drinking water. Though, discrete monitoring is reported, in my limited search, I haven’t come across any systematic continuous monitoring. It looks that we do not have capacity to monitor all the health hazardous chemical contaminants. Even, the instruments available seem to be not in desirable working condition, due to lack of qualified and trained personals and lack of knowledge in calibration of instruments. Thus, as of today, we may never know the quality of water and continue to drink with deadly pollutants. Isn’t it the responsibility of the property developer to ensure that drinking quality water is available in the kitchen tap? I know of others living in apartments in Wellawatte who have similar drinking water problems. apartments in the Western Province in recent times, more the chances of bowel diseases resulting in drinking impure water. Even the now popular bottled water is suspect, save a few brands. On several occasions bottlers were caught filling with water from the Beira and other nearby lakes – according to media reports. 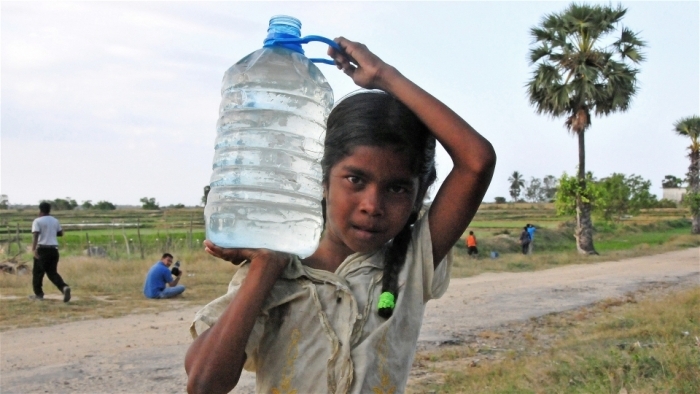 In neighouring Chennai (Madras) 65% of tap water is said to be contaminated. Even the treated water from Chennai Metro Water Corporation is found to contain unacceptable levels of foreign matter and impurities. Two decades ago the UN and water experts predicated by now the world will go into crisis levels about safe drinking water. Is GoSL geared to save her population from this menace – of which we have had adequate notice for quite a while. The Govt should look into this matter seriously and make a public pronouncement. Thank you, Sir for exposing the problem. Have the water analyzed, before and after purification to make sure, the contaminants are removed. Send the samples to an accredited place, not quacks. It is rather unfortunate that we get over 250 cm of rain over a year and the water is still polluted! He should report this “institute” for giving bogus reports on doctored samples, to the minister concerned. The institute is bogus, the Ministers are Crooks and are popularly known as Liars, Crooks, Robbers and Criminals, LCRCs. They are still out at large after years of corruption. If you want the truth, send the sample abroad, to reputable lab. Maybe you mean CENTRAL Environmental Authority aka CEA? MS is also the minister of environment. Hope that things will change. The Church used to Burn the Heretics, years ago. In Sri Lanka, the Mahinda Rajapaksa Regime Used White Vans against the Heretics. 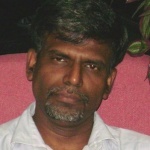 Are the Heretics safe now in Sri Lanka, courtesy of Yaha-Palanaya, Good-Governance? Our resources need to be used to prevent the reemergence of terrorism and for the security of Sri Lanka. As Dayan J has advised with all his experience and wisdom – remember he saved our country many times in Geneva and in other places – even our country’s constitution etc. should be arranged and maintained for this purpose and this purpose alone. Keeping 300,000 in arms and uniforms is not really enough for a country of our size and minority population. We must increase the men and their guns. And we need to have a highly focussed thinking man on top who thinks unceasingly about the country and its security. Talk about water quality is an unnecessary and possibly conspiratorial diversion from this main game. Notice the ethnicity of the writer. As a clever nation we cannot really afford the money and the time for these distractions such as mere water. Jocker – What a load of gibberish! “Mere water”??? Just shows how stupid you are! “Clever nation”??? Is that why we are in such a mess after the “clever” past regime?? Dayan J, “with all his experience and WISDOM”!!! Just shows where you’re at and to cap it all off you display your unabashed racist mentality when referring to the writer’s “ethnicity”. Thanks for this nice summary of the situation. Sir Lanka.s urban crowding has occurred too rapidly for the largely neglected infra-structure. The sewers, water supply and much of it remained neglected during the war. Indeed, if there is monitoring by the water board people, they don’t publish their results or they have no results. But some facts are known. Rathupaswela: It is known that the geology of the area should produce acidity in the soil periodically. I think this follows form the hydrology presented in Dr. Panabokke’s book. CKDU: Kidney disease of unknown origin. The WHO sponsored a very detailed study and looked for As, Cd, Lead and other metal toxins, as well as insecticides and pesticides like Glyphosate (“roundup”). Some 250 samples of water were analysed by a European lab, and the amounts of toxins were indeed negligible. Several other studies confirmed this to be correct. The theories based on Aluminum pots etc., are also not likely to be true. 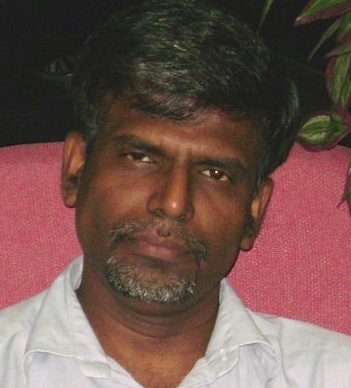 However, more revently scientists have found that most drinking water wells in the CKDU affected areas have a high salinity (not merely ordinary salinity, but other salts and ions like fluorides, sulphates, phosphates, nitrates, etc) due tio dissolution of salts from geological strata as well as salts brought into the NCP by the Mahaweli and other irrigation channels which bring in the wahsed off fertilizers from the hill country. One problem seems to be the EXCERSSIVE use of fertilizer, while the right amount should be used if the fertilizer is to be retained by the soil. Some people claim that excessive digging for sand, blasting iof rock etc., by powerfully connected business people also contribute a lot to the pollution in the North central province. I don’t have information on the other water quality issues mentioned by this author. Thanks Dr. Arulananthan for your incisive and informative post on this major problem we face. A lot of us were aware of the contamination of ground water in the North and North Central provinces, but I had no idea the disaster was so widespread. The overuse of pesticides, weedicides, fungicides and chemical fertilizers are wreaking havoc among the farming communities and the soil erosion (along with the poisons) are contaminating our streams and waterways. This is a ticking time-bomb and hopefully some diligence on the part of our administrators will defuse the situation – and soon, or else…. PS: Will now have to think twice about where to enjoy a swim in the ocean!!! Hasn’t anybody noticed yet the extreme acidity of rain water? and the foul taste of pipe borne water? Many outsiders who have noticed this way back are not visiting Colombo now. There is a lot of misinformation, particularly with respect to Chunnakam issue. Yes, there were some visible traces of oil, but the analysis by NWSDB was wrong. The CEA report did not look at petroleum traces, but a gross parameter called ‘Oil and Grease’. Only one study, as I know, has looked the real petroleum traces. This work was done by a group of Australian – North American team. Can I request Colombo Telegraph to leave this link for people to refer to this good report? exceeded the standard, and dissolved solids exceeded in all but one sample. Of particular concern is the E. coli content of the water samples. This indicates that all sampled wells are substantially contaminated by seepage from toilet pits.